BART directors have approved a $582 million operating budget for the new fiscal year beginning July 1 that includes the possibility of a 3 percent fare reduction for four months later this year. However, the fare reduction is contingent upon the outcome of a series of community meetings during the next two weeks designed in part to gather public input on the impacts on a temporary fare drop on low-income, minority and limited English speaking communities. BART's staff is expected to return to the board in July to get final approval for temporarily reducing fares. The budget includes a $4.5 million surplus. In a 6-3 vote at their meeting Thursday, BART directors chose to allocate $2.3 million of that sum for the possible fare reduction. The board also allocated $1 million for BART's rainy-day reserves, bringing total reserves to $25 million, $750,000 for deep-cleaning of 50 rail cars complete with new seats, $200,000 to defer an increase in East Bay paratransit fares for four months and $150,000 for an emergency operations facility. 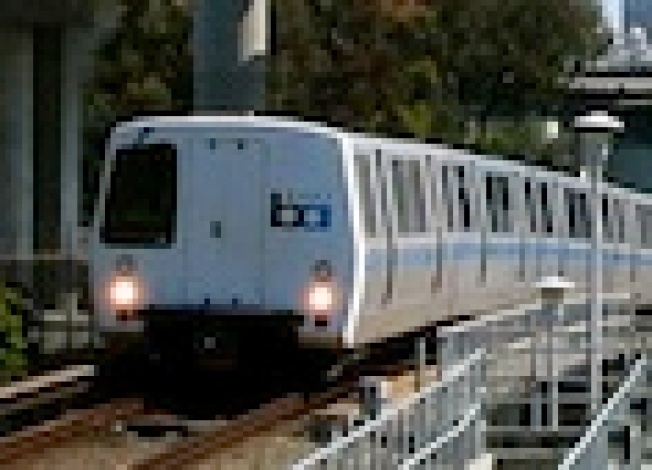 In addition, the board allocated $75,000 of the surplus revenues to install monitors showing real-time train departure information at various businesses located near BART stations. Board Vice President Bob Franklin said in a statement, "BART is 95 percent on time but if you don't know the schedule or if there is a delay in service, these screens installed in places like coffee shops will display exactly when the next several BART trains are departing." The three directors who voted against the spending plan were Gail Murray, Tom Radulovich and Thomas Blalock. Critics have alleged that the board wants the temporary fare rollback because four directors are up for re-election this year and a fifth, Lynette Sweet, is running for a seat on the San Francisco Board of Supervisors. Board President James Fang of San Francisco, who is one of the directors running for re-election, said in a statement, "What the BART Board did was historic. I have never heard of a transit agency anywhere in the world lowering fares when times are good, let alone when times are bad." Fang said, "Thanks in part to this board's careful financial decision-making, we are in the unique position to be able to return the excess revenues to our customers in a meaningful and fiscally responsible way."